Register here! Hurry, the deadline is THIS MONDAY, DEC. 4 AT NOON! Desiree Charbonnet said no. LaToya Cantrell said YES. Rent control does not solve the problem of access to affordable housing. In fact, it makes housing more expensive. In New York, New Jersey, and California cities, it has only made the housing shortage and affordability problem even worse. 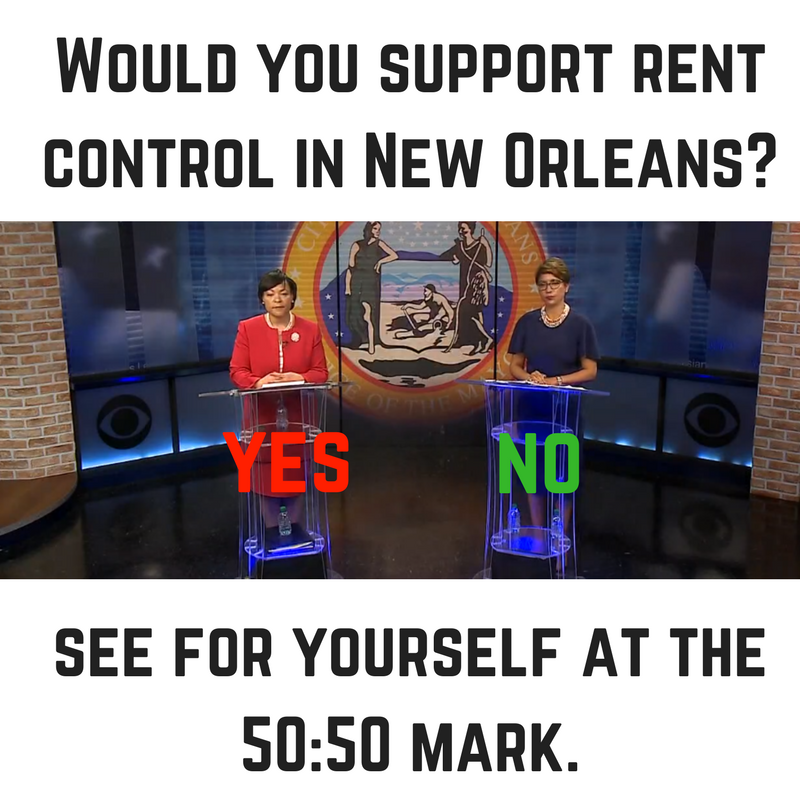 Rent control oversight would mean creating an expensive new bureaucracy that would likely be paid for by new taxes and fees on New Orleanians. Rent control does not stop gentrification. People with high salaries can live in rent controlled apartments, even while others are in need of affordable housing. We need crime control and flood control – not rent control. Take action to fight this harmful proposal before it starts. Vote Saturday for Desiree Charbonnet. To read more on the housing issues covered in last night’s debate, including short-term rentals and which candidate has accepted campaign contributions from AirBnB, click here. Don’t live in New Orleans? Please share this message with family, friends, colleagues, and clients who live in New Orleans and encourage them to vote tomorrow for Desiree Charbonnet, the only candidate who will protect private property rights while also fighting for low- and middle-class residents. 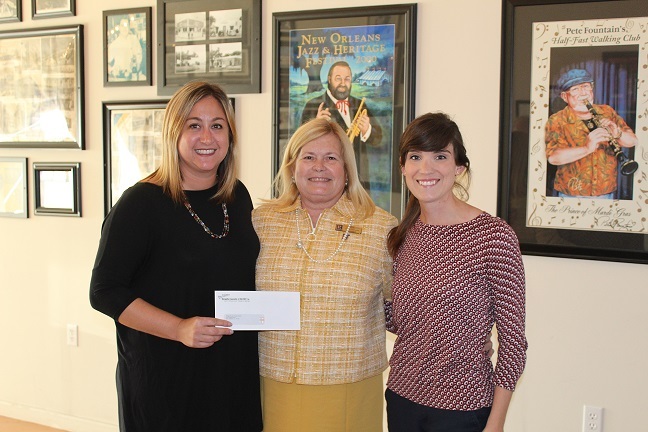 We were honored to be able to present a check to Bridge House / Grace House at our 2017 Election Social, using the funds raised from our generous members at our 2017 Bowling Tournament at Rock-n-Bowl. Giving back to our community is very important to us here at NOMAR, and we are very thankful that all of our members enable us to do it! Click here to learn more about Bridge House / Grace House and all the good they do in our community. 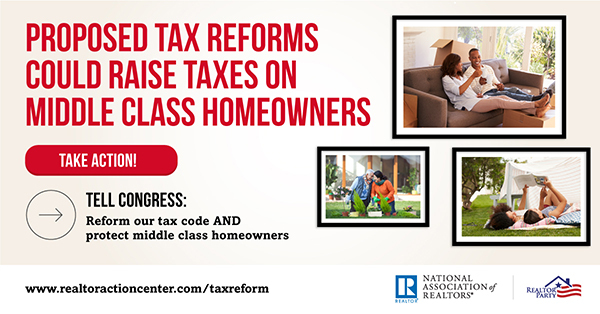 NAR launched a Call for Action on Tax Reform. If you have not already done so, it is imperative that you take action now to let Congress know you oppose this harmful proposal. Under the current tax reform proposal, 95% of current and future homeowners would lose access to the Mortgage Interest Deduction. The proposal could also result in a 10% reduction in home values. Take action now to tell Congress to do no harm when it comes to tax reform. 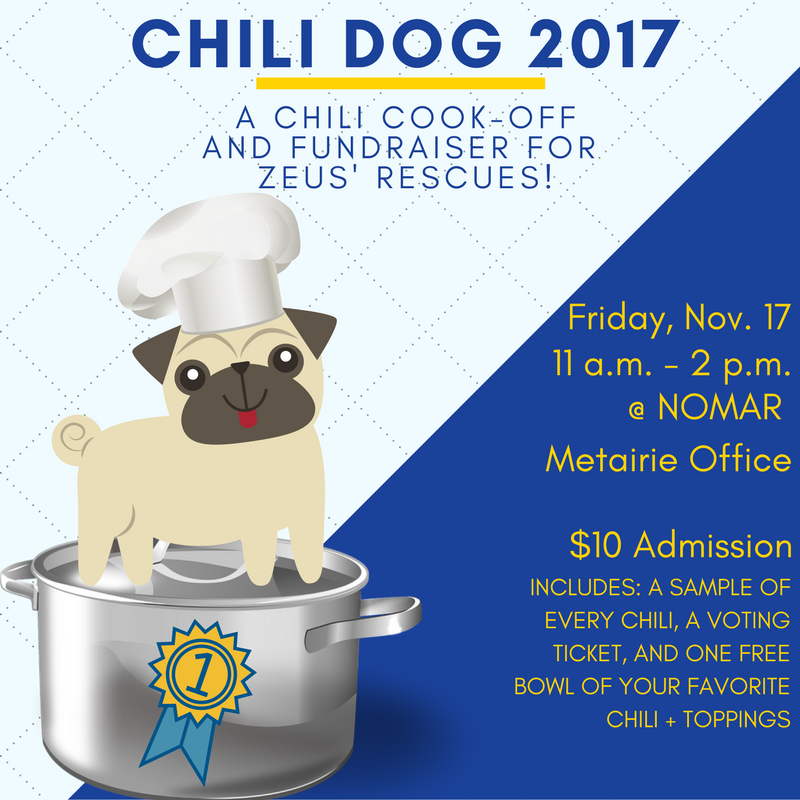 On Nov. 17, NOMAR's Affiliates Committee will be hosting a chili cook-off and fundraiser for Zeus' Rescues! 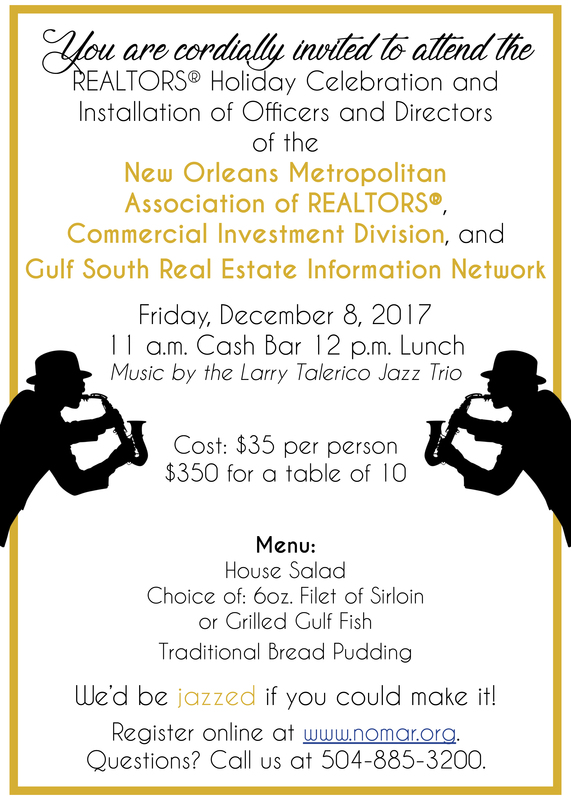 The Lake Insurance & Financial, Inc.
Sponsorships are available for $100, which includes entrance for you + 4 guests and recognition on all advertising and at the event! Click here for the form. Geaux Vote on November 18!